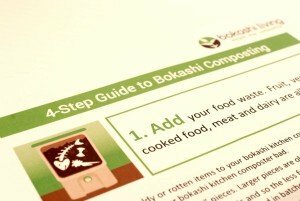 By following our 4-step how-to guide included for free with our bokashi starter kits, most people will enjoy successful results every time with their bokashi composting. But if problems arise, don’t despair! This page will answer and address the most common problems that might occur. Bokashi composting is all about creating an optimal environment for the healthy bokashi microbes to thrive, and in doing so to convert your food scraps into nutrient rich pre-compost. Remember that every climate is different, and not everybody creates the same type of food scraps, so there are no hard and fast rules for any composting process. But after a couple of tries, most people will easily find the rhythm that works best within their kitchen. How do I know if my bokashi compost bin has failed? If you open your bokashi compost bin and you smell a foul, putrid odor or you see lots of blue/green mold, then something has gone wrong. A successful bokashi bin will smell pickly and/or yeasty and may have white mold visible (no visible white mold does not mean that it has failed). Make sure you chop up your food scraps before putting them in the kitchen composter. Large items will compost, but will take longer to ferment than smaller items. 2 inch pieces are acceptable, but 1/2 to 1 inch in pieces are even better. Remember that as vegetable and fruit skins are a natural protector, they will limit the bokashi microbes from entering as well. Items like lemons should be chopped into quarters before putting them in the kitchen composter. Excess air is bad for the bokashi process. The kitchen composter should be opened and closed as little as possible, and for as short a time as convenient, while you are loading it and until it is full. Do not leave the lid open unnecessarily. It’s best to collect your food scraps in a bin or bowl on your kitchen counter, and just once a day, or better yet every other day, load them all at once into the kitchen composter. And try not to open the kitchen composter at all during its sealed two week fermentation time. To keep excess air away from the food scraps within the kitchen composter, its ideal to place something to act as an air barrier on top of the food scraps. 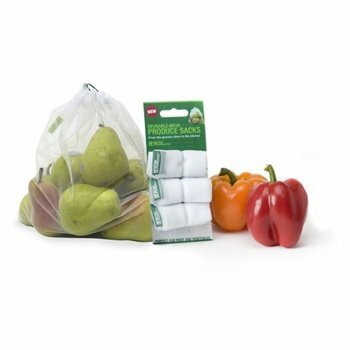 Use a plastic bag (recommended), piece of cardboard, or even a kitchen plate placed on top of the food scraps, as you are working to fill the kitchen composter. And leave the item there once the bin is full during its two week fermentation process. Be sure to PRESS DOWN hard on the covering barrier as you add food layers, as this will help squeeze air out of the food scraps in the kitchen composter (the covering plate will also serve to keep your hands clean while doing this). You can never add too much bokashi bran to the kitchen composter. In fact, more is better, especially when dealing with food scraps that rot easily (like meat). At a minimum, at least be sure that you have a dusting of bokashi bran mixed evenly throughout the food scraps that are in the bin. As you add the food scraps, sprinkle the bokashi, and mix slightly to ensure even coverage. The kitchen composter should be kept away from extreme temperatures. Room temperature is ideal for the microbes to thrive. Keep it inside during cold months, and out of direct sunlight in the warm months. Colder temperatures will not stop the microbes entirely, but it will slow them down. Inside the kitchen composter: most food scraps should successfully complete the precompost process in two weeks. But some might take longer, especially if they are not chopped well enough. Try leaving the food scraps for an extra week in the kitchen composter. Longer fermentation time in the kitchen composter is always beneficial. In the ground: Once your precompost has been transferred to your garden, two weeks is usually all it takes for the majority of the items to be assimilated into the soil web. However, if the temperature is cooler, or the food scraps are not fully precomposted, it might need longer. An extra week in the soil should finish it off. Rodents are finding my buried pre-compost! let the precompost ferment in the kitchen composter for an additional week before transplanting to the garden or compost heap. This will ensure complete fermentation. bury the precompost deeper. At a minimum, for rodent protection the precompost should be buried 6 inches below the surface. At that depth, the smell should not be inviting to them. Bury deeper if you have particularly aggressive rodents. try placing a piece of netting on top of the soil where the precompost is buried. You can secure the corners of the netting with stones. and remember that once an animal realizes that bokashi precompost is not easily available to them as a food source, they will move on. This is a sure sign of a failed batch, and it should be discarded (note that white mold is good, and is a sign of a successful batch and very healthy microbes). Be sure to follow the steps above, and in particular see that your lid is tightly sealing itself, the kitchen composter is not cracked, and that the drain spigot is kept closed. As well, it’s likely that not enough bokashi bran was added to the food scraps, or mixed evenly enough throughout the food scraps. The drain spigot works with simple rubber washers. For closing: A simple and light finger tighten is all that is needed to seal the bin. Over tightening can cause the inside washer to ‘roll off’ the sealing thread. By disassembling the spigot, you can fairly easily reposition the washer if it has rolled off. For opening: half a turn is all that is needed to open the drain spigot. Over turning it can cause it to become unthreaded, and possibly remain in the ‘open’ position. If your spigot is draining by itself, then this is likely the scenario. Simply push in on the spigot handle while tightening, and the thread should re-engage itself properly. Remember, the bokashi composting system relies on a natural, living process and sometimes problems occur for not particular reason. If your bin goes bad, don’t despair simply pencil it down to bad luck and try again. ← Why should I compost at home? Thanks, this is a really helpful post. Over the winter, I was concerned that the bin wasn’t getting any mould, so I thought is wasn’t working and was thinking of stopping. Having read this I realise that it was working fine and I will carry on bokashiing. Its really a good way of getting rid of smelly food waste. Great to hear it! As long as there is no blue/green moldy or foul, putrid smell then you can be confident things are working well. So. What do you do, exactly, if it goes bad. I forgot to drain the leachate out of my home made bokahi system made from home Depot buckets for a couple days and the whole thing smelled putrid. No amount of washing seemed to fix the problem. Should I throw out what is in there? Or bury it? Any thoughts on cleaning the buckets? So you’ve drained the leachate and buried the pre-compost but the bin itself still smells? If so, have you tried leaving the open bin out in the direct sun; sunlight is amazing! Also, have you tried setting up your bokashi bucket again. The bokashi microbes and the anaerobic conditions will also help to kill the bacteria associated with rotting and the putrid smell. On another note, I’m surprised that leaving the leachate for a couple of days caused the whole bin to go bad. Was it starting to smell beforehand? Not that I noticed, but it’s possible. I think the scraps I put in there were too whole to get digested appropriately. Could that have been the problem? We recommend that you cut food waste into 1-2″ pieces. The larger the pieces the longer it takes to break down. If you are adding larger pieces then be more generous with the amount of bokashi bran that you add, and expect it to take a little bit longer to ferment and to break down after you bury it. And remember, skins and peels create natural protection for fruits and vegetables. Make sure to chop up any whole fruits/veggies before putting them in the bokashi bucket so that the microbes can get at the flesh inside. I don’t have a garden only my patio, would I be able to make compost just leaving it in the bin? If so how long roughly would that take? We are trying to start a Bokashi composting system for our small guesthouse/B&B. We produce a lot of food waste/plate scrapings during breakfast service and need an efficient way of dealing with it – will it harm the process if the bin is left open during service (around 2 hours) as waste is added gradually, and contents then squashed, sprinkled and sealed at the end of each morning? It will take approximately 2-3 days to fill each bin, so we are thinking that the contents will not have time to putrefying in that time, even though bins will obvs be exposed to oxygen? Keeping a separate bin that needs decanting into the Bokashi every day will simply not be practical. Many thanks in advance for your advice. Thanks for your question. I responded to your FAQ here. Its likely that an opportunistic fly laid some eggs in the food waste prior to adding it to your bokashi bucket, or when you had the lid off your bokashi bucket. This can happen from time to time but don’t worry. As long as the bin smells sweet and pickly and there is no blue/green mold, then the bin won’t fail. In fact, the anaerobic and acidic environment inside the bokashi bucket will mean that they will die off pretty quickly (and add protein to your bokashi compost 😉 ). Throw an extra tablespoon or two of bokashi bran into the bokashi bucket to make sure that there are enough microbes to create an acidic environment. Some of the small maggots may escape when you drain the tea. The tea is still perfectly fine to be used; I just wouldn’t use it on house plants. Please comment here if you have any other questions. I am using homemade lactobacillus serum and sawdust for my bokashi. I finished a successful one and buried it. I was very happy with the outcome and it smelled really good. However on my other trials its smell is not as good as it used to be and there is a lot of gas coming out of the bin. I am especially concerned about the gas. Nearly all the conditions are same with the previous successful ones. I am becoming suspicious about my serum but the ph is around 4 when I checked it and the serum alone still smells goood. What could have gone wrong? Many thanks in advance for your advice. Thanks for the question and interesting to hear your experiments with bokashi composting. 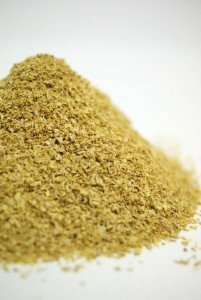 Without more information about your process for making and using the serum and sawdust it is hard to give a definite answer. However, my first thoughts would be that maybe the serum has been stored incorrectly. This is obviously a living ingredient and needs to be stored out of direct sunlight and within a few degrees of room temperature. The bokashi fermentation process should give off very little (if any) gas. Getting a lot of gas from your bin suggests that some putrification is happening. But its odd that it does not smell putrid?! Maybe the items in your bin are too big? Or maybe the serum has become less active? We would suggest checking on the way that the serum is stored and increasing the amount that you add to the bokashi bucket. Would love to hear how you get on. Thank you very much for your quick response. I will make a fresh start with three different bins and check the variables. I will keep you informed as soon as i achieve a successfull one. Hello, i am using Bokashi Composting for my kitchen waste. I put aside my bokashi bin for 15 day for fermentation after it got full. I dont have a garden so i dumped the precompost in a plastic drum along with cocopeat. But now it is smelling really bad. How to do curing of precompost successfully if there is no garden to bury the contents. Thanks for your comment (and FAQ). When using a bokashi soil factory be sure to add plenty of good quality garden soil. Also make sure to mix and chop the pre-compost really well. As your FAQ eluded to, it is also important to prevent excess moisture turning the soil factory bad. Seems weird that mine was doing fine and smelling great at the point when the bucket was full, at which point I stopped adding, sealed it with saran wrap, put the lid back on and left it for two weeks. Then when I opened it it stank to high heaven. Is there something that can go wrong just at that last stage? Next time should I add a whack of the bran before that letting-it-sit stage? Agree, it is unusual for things to go wrong at this stage. It is most likely that the liquid (bokashi tea) built up in the bottom of the bucket and caused the bin to go bad. 1. Add a drainage plate, liquid reservoir and spigot to your bucket. Or consider investing in a ready-made bokashi bucket. 2. Add more dry material to the bottom of your bucket to soak up the extra liquids. 3. Avoid adding moist and/or juicy food waste to limit the amount of tea produced. Hope that helps. Feel free to ask any other questions you may have. Just did our first bokashi and followed all the steps, but the smell was truly horrendous! Firstly, the drained liquid smelled like acidic vomit, and the bin itself pretty bad as well. When I emptied I noticed lots of white mould, which I understand is good, but surely it shouldn’t smell like this? We used the liquid rather than the grains, could this be the problem? It’s also been very hot so wondering if it’s just a temperature thing? No, the fermented food waste (bokashi pre-compost) should not smell like vomit. It should have a sweet, pickly smell, possibly with a slight yeasty odor too. I have not personally used the bokashi spray, but note that it has a much shorter shelf life than the bokashi bran (just 2-3 months). Make sure that you are using new bokashi spray. And make sure you are getting a good coverage each time you add it. Temperature could also be a problem. The bokashi microbes thrive around room temperature. At lower temperatures, the microbe activity will decline but at much higher temperatures the microbes can be destroyed. Try to keep your bokashi bucket and bokashi spray as close to room temperature as possible, and out of direct sunlight. Feel free to post any other questions you may have.